Why Choose Turkey Gift Certificates and Vouchers? | gThankYou! America’s business leaders choose gThankYou! Turkey Gift Certificates and vouchers for Thanksgiving and holiday employee appreciation. Shouldn’t you? What’s the difference between turkey gift certificates and vouchers? Nothing! A “voucher” is just another term for gift certificate. 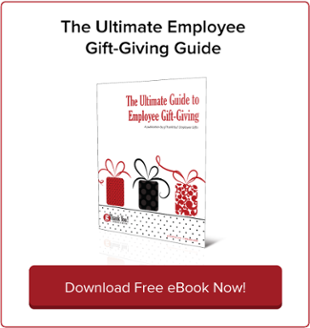 When it comes to workplace turkey gifts, more companies choose gThankYou! Certificates of Gratitude. We’re America’s favorite choice for Turkey Gift Certificates, Turkey Or Ham Gift Certificates and other popular food gifts – perfect for holiday-time or anytime employee and customer appreciation. gThankYou! Turkey Gift Certificates allow recipients to choose any brand, size and preparation of whole turkey — Butterball®, Norbest®, Smithfield® or any other brand from major grocery stores in the U.S.
gThankYou Gift Certificates are Manufacturer Coupons which are only good for a specific item (such as a whole turkey), have an expiration date and provide no cash or residual value. They cannot be deposited in the bank or used to buy other merchandise. Be careful not to confuse turkey gift certificates and vouchers with gift checks or gift cards. Gift cards, allow recipients to buy any store merchandise. Butterball® Gift Checks, and other holiday gift checks, can be deposited into a bank account or used to buy any merchandise. And, both are taxable gifts to employees. If you are looking to restrict your holiday gift to a Turkey, choose gThankYou! Turkey Gift Certificates. Whether you choose to share your turkey gift at Thanksgiving or Christmas, it’s a classic employee holiday gift. Turkeys are the traditional American holiday centerpiece, beloved by generations of families for their Thanksgiving and Christmas tables. Giving a turkey at the holidays is a classic token of generosity and appreciation for company leaders to share in the workplace and has been a tradition for over a century. The gift of a turkey is a meaningful and practical gift: when recipients sit down to their holiday dinner with families and friends, they are reminded of how much they’re appreciated and will remember your gratitude. Turkey vouchers allow workplace leaders to share the gift of a turkey without the hassle and headache of handling and distributing actual frozen turkeys. Not only is it more convenient for you, it’s more convenient for recipients, too! Recipients don’t have to lug home a heavy turkey that they may or may not have room to store, and may not be the right size or timing for their family. gThankYou! Turkey Gift Certificates allow recipients to choose the size, brand and preparation of turkey they want, when and where they want to shop. Did we mention how easy gThankYou! Turkey Gift Certificates are to order in time for Thanksgiving or Christmas? Place your order online or call us at 888-484-1658. Our Turkey Gift Certificates are available in a range of affordable values to fit any budget. Need gifts for a very large or distributed workforce? We can help! We can create a custom online ordering and fulfillment process with your choice of products, volume pricing and custom “Thank You” Enclosure Card. Call us to learn more. All gThankYou purchases come with FREE Enclosure Cards – you choose the design, personalize your message and even include a company logo. Every great appreciation gift needs a Thank You card to go along with it with a heartfelt, personal message. gThankYou provides gift Enclosure Cards free with any purchase. Choose from dozens of card designs, then give us your personal message for recipients along with your company logo (if desired). We’ll create a proof for you to approve and include the cards with your order — all for FREE! Check out our catalogs of Thanksgiving Card Designs and Winter Holiday Card Designs for the full range of seasonal options, or visit our website for even more options. 3. Sit Back and Relax. Your Certificates are on the Way — FAST! Have your Gift Certificates (and custom Enclosure Cards) in hand as soon as the next business day! Virtually all orders ship same day, even large orders. Have many locations or complex logistics? Let us know and we’ll ensure you have them exactly when and where you want them. 5. Enjoy the Holiday Season! Because you spent a few minutes planning ahead, you’re free to spend the holidays focusing on what’s really important: sharing in the gratitude of the season with your employees. 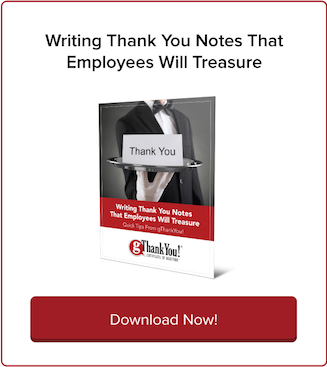 Learn how to put the ‘Thanks’ in Thanksgiving with our popular free guide on writing the perfect employee Thank You letter. If you’re out of practice, writing Thank You notes — especially in a work setting — can seem challenging. But you’re not alone. Far from it! 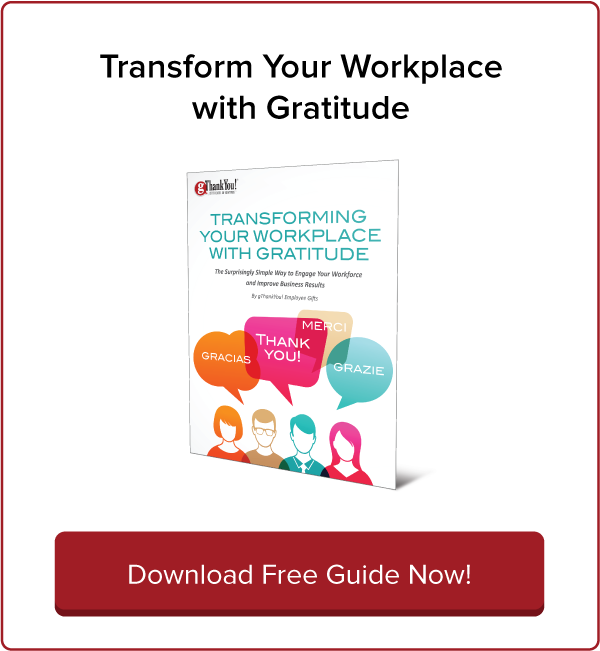 The workplace is one of the last places gratitude gets expressed. We all need to feel appreciated — but, surprisingly, it’s rare in most American workplaces today. This Thanksgiving, do your part to change that statistic. Our eBook guides you through the process of writing a memorable Thanksgiving message to staff. Real-life examples of memorable Thanksgiving letters from bosses in a variety of industries. 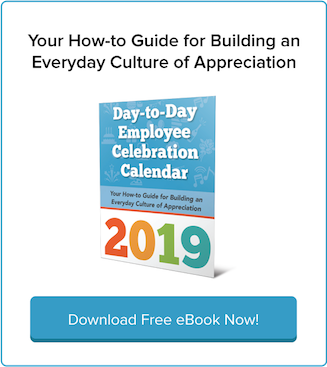 Best practices for thanking employees and ideas for brainstorming your own unique approach. Tips on how to share your Thanksgiving letter. Why wait? Download your free copy now!